SYDNEY, AUSTRALIA – The benefits of big data analytics have been too good to resist for most Australian organisations; however, many are struggling with privacy implications and the ethical use of data, according to new research from emerging technology analyst firm Telsyte. The Telsyte Big Data and Analytics Study 2018 found around 80 per cent of organisations in Australia with more than 20 employees have a big data strategy, although many are in the embryonic stages with pilot programs and exploratory projects. 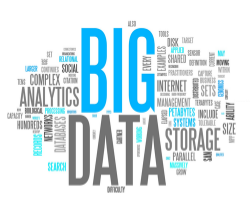 Despite this growing wave of investment in big data, only 61 per cent of businesses were conscious of privacy and regulatory concerns around big data, even with the Notifiable Data Breaches (NDB) scheme coming into effect in February 2018, and the European Union's (EU) General Data Protection Regulation (GDPR) coming into play in May. Furthermore, many (38%) are struggling with the ethical use of customer data and are unsure if they are being “careful not to be creepy”. Concerns include handling of sensitive data which customers might have shared without understanding what they had consented to, such as during the installation of mobile apps or signing up to free web-based services (e.g. social media sites and email services). “There is a huge temptation to highly target and customise offers to individuals, but also predict behaviours which generate profits,” Telsyte Managing Director, Foad Fadaghi, says. “However, many have had to draw the line at how sensitive customer data, such as location movements, or passively scraped data is used to target customers,” Fadaghi says. Despite self-imposed regulation, nearly two thirds (65%) of organisations claim they protect data like other assets (e.g. physical or IP assets) and around half (53%) are willing to share data if there is tangible benefit to their organisation. Overall, 84 per cent of business and technology leaders saw an improvement to their organisation by using big data analytics. Productivity and improved decision making were rated highly, as was the ability to improve customer intelligence, and control operating costs. The CEO and CDO (Chief Data officer, sometime called Chief Data Scientist) are becoming the main sponsors of big data strategies in Australian companies. About 1 in 3 (35%) organisations have the CEO leading big data strategies, as the decision-making role of the CEO is becoming less about ‘gut feel’, but rather about data-driven and an informed process that can be reviewed by the board. Telsyte research shows that companies with CDOs or CEOs spearheading efforts are much more likely to have an organisation-wide digital strategy, or the ability to break down silos of data that might sit across various business units. This addresses the fastest growing challenge relating to the adoption of, and use of, big data - the lack of a standard, organisation wide approach (28%). This is a challenge which is cited by twice as many companies than it was in 2016 (14%). The main drivers for big data analytics adoption include digital transformation (58%), customer behaviour measurement (44%) and e-commerce applications (36%). Security and fraud detection is growing in popularity amongst organisations with a big data strategy and is now in use by over 40 percent of organisations. With a lack of skills and high cost of entry holding some organisations back, Telsyte research shows service providers are the big winners for delivering big data analytics capability. Around a third of companies with a big data strategy are using a big data managed service provider (or outsourcers) compared to around a quarter a year ago, which is ideal for companies struggling to acquire big data skills. To plug the capability gaps, over one-third of businesses are investing in big data training for staff, which has seen a mini-boom during the last two years. Telsyte’s technology decision maker survey with a representative sample of 319 respondents across Australian organisations with greater than 20 employees. Sampling was conducted on a company size by number of employees weighting basis, with around half of respondents coming from organisations with greater than 200 employees.